Nova Scotia has been described in tourism literature and brochures as a 'land shaped' by the sea. Anyone who has had the opportunity to explore the province extensively, as I have, will find a lot of truth in that statement. The diversity that exists along Nova Scotia's coastline is what make the province so exciting to explore. There is a distinct lack of sameness. The Atlantic coast is different from that of the Bay of Fundy and the Northumberland Strait's sandy shores differ from the Gulf of St. Lawrence seascapes. 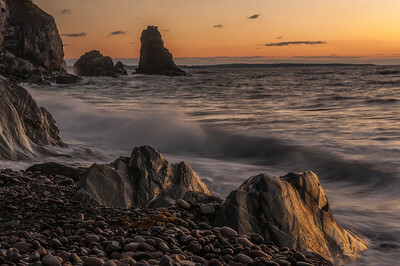 These galleries of stock images demonstrate this diversity..
Wally has lectured and taught photography for more than 40 years throughout Nova Scotia and knows intimately the best places to go and the best time of day or season of the year to be there. Let me introduce to this province that offers a wealth of photo opportunities. The workshops offered here give new photographers an opportunity to learn and, for the more experienced ones, the chance to explore and photograph new and exciting vistas. 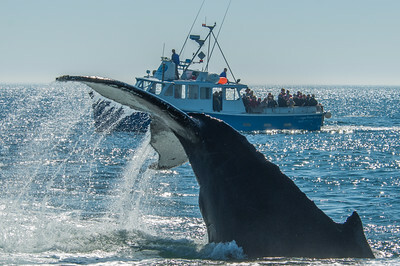 Photographing whales, highland dancers and everything in between was all part of Wally's routine for over 25 years working as chief photographer for Nova Scotia Tourism. During the period between 1986 and 2011, he logged more than half a million kilometres on Nova Scotia roads and shot that many and more photos, both on film and digitally. 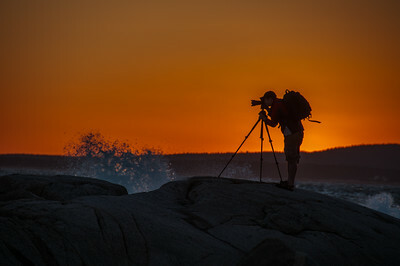 If you would like to explore Nova Scotia in the company of one of the best-known Atlantic Canada photographers, drop Wally an email. Tours can be arranged for individuals, couples or groups. As a newspaper and wire service photographer from 1957 to 1970, Wally has photographed everything from Royal Tours to the Beatles . . . from major disasters to Olympic Games. Like most news photographers, Wally learned to anticipate and react instantly to changing situations. The photo above is an example of quick reaction time. 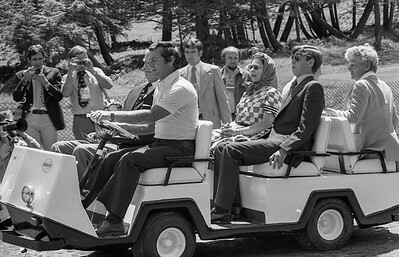 When Queen Elizabeth, Prince Phillip and Prince Andrew boarded a golf cart to tour an Olympic site in Montreal in 1976, the cart started abruptly throwing its occupants backward. Wally got this shot and a split second later another shot showing the car's occupants laughing over the mishap.